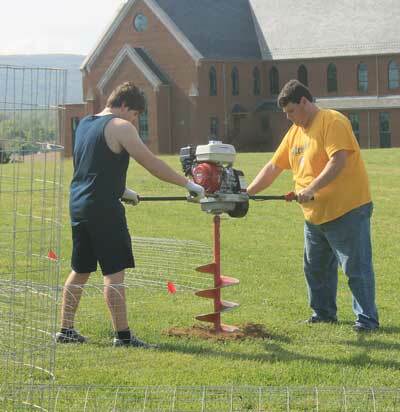 The manual labor for the tree planting project began on April 30th with the assembling of cages to protect the new seedling trees. 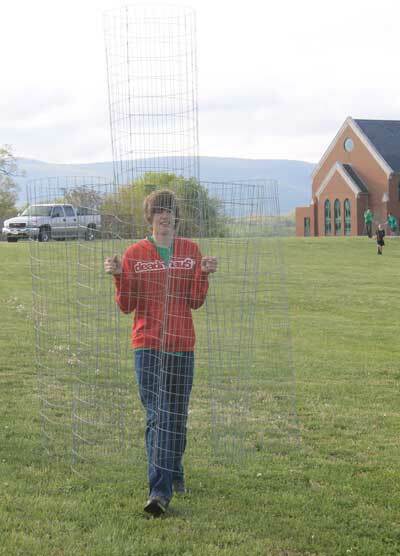 Over the course of two hours Tuesday evening three volunteers, one adult and a 13 year old girl and 12 year old boy assembled roughly half of the 100 cages that needed to be cut and put together using the cage making template contraption created by Tanner and Herb. 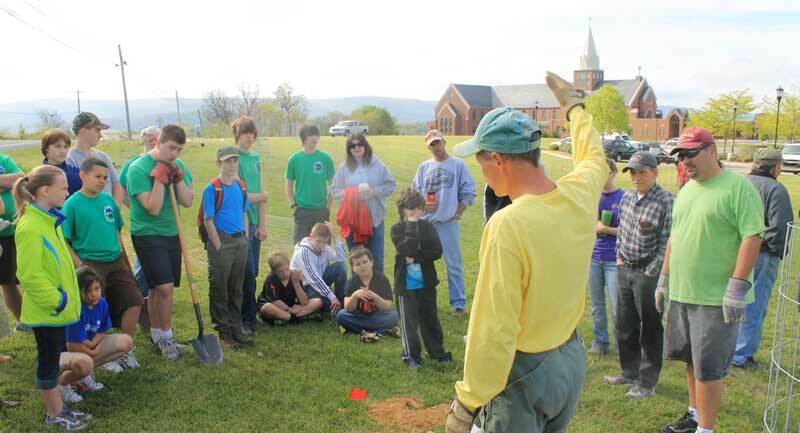 The Knights of Columbus were awarded 150 trees through WV Project CommuniTree to plant at St. James Church in Jefferson County, WV. 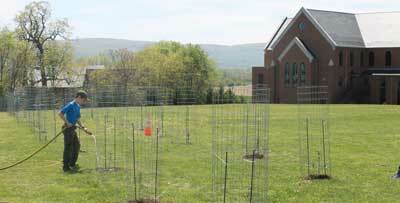 These trees included 100 evergreen tree whips, 46 container flowering trees, and 4 large shade trees. 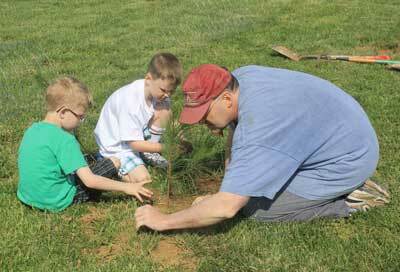 The tree planting happened on Saturday May 4th, 2013. 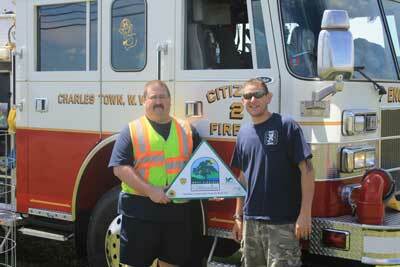 Saturday morning we began about 8am with coffee and donuts donated by Martins Grocery store. 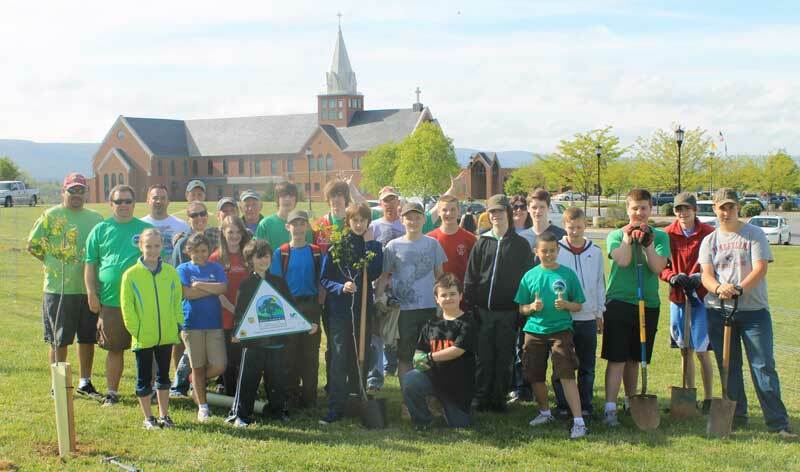 We had roughly 38 volunteers from the Knights of Columbus, Boy Scouts, American Heritage Girls, and Cub Scouts. 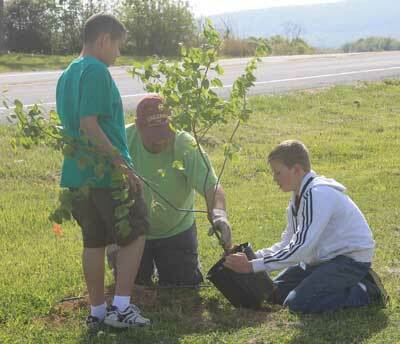 We listened attentively while Tanner and Herb went over the importance of tress to the environment, the goals of this project and similar projects throughout Jefferson County, and a demonstration on how to plan a tree. 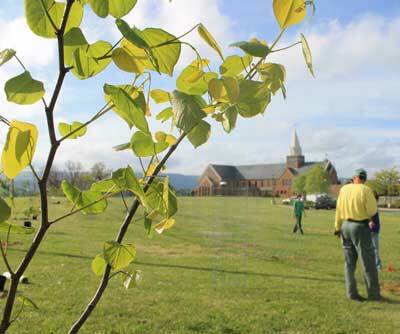 The warm spring day was perfect for being outside enjoying the Sun and imagining the new trees bringing shade and protection from wind and erosion in years to come. 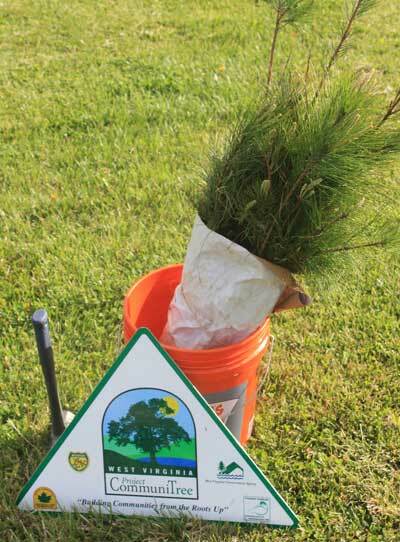 The trees were planted along old route 9 in about 4 hours, from first donut to first slice of pizza provided by the Boy Scout Troop of St. James. 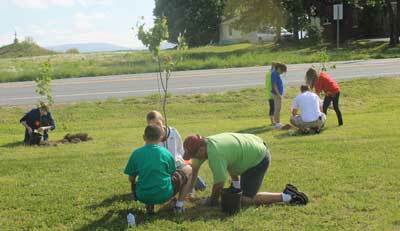 Everyone enjoyed being part of a project that will have lasting impact for years to come. 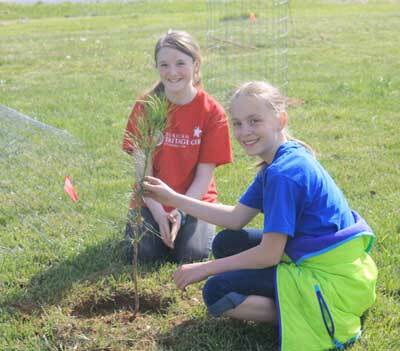 Aside from keeping the volunteers well fed with donuts and pizza they also enjoyed our novel way we watered the trees after caging and mulching them. 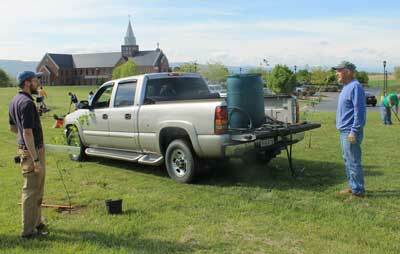 Citizens Fire Department brought their fire truck with water pumper and let the kids use it to water the trees.